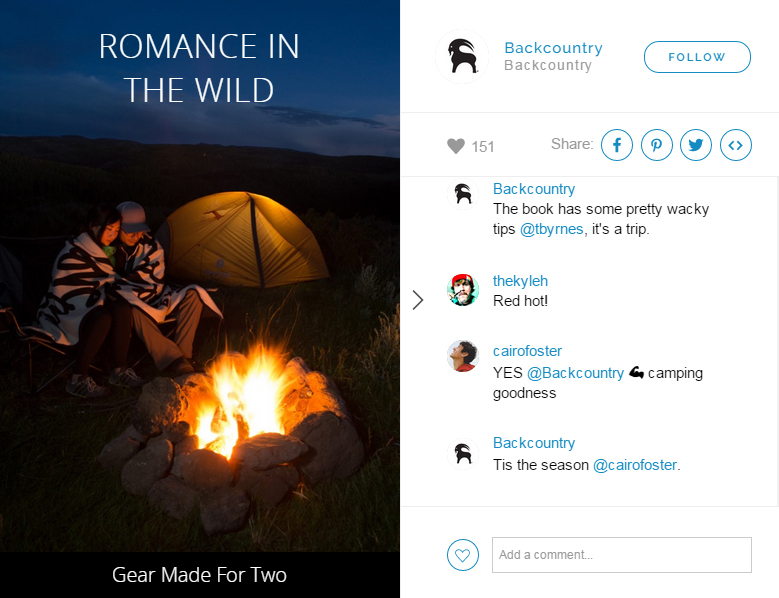 We are absolutely charmed by this Backcountry feature on Romance in the Wild, featuring our “Love Me” blanket by Curtis Kulig. This is actually a phone app, but you can view it perfectly online by clicking here. Just click that arrow to the right to see a campfire and more. Go see! It’s adorable! Thanks to Backcountry for the love.